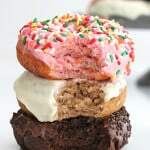 Why choose between cinnamon rolls and donuts when you can have the best of both with these Cinnamon Roll Donuts? 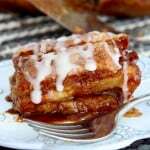 A brilliant and tasty twist to your favorite canned cinnamon rolls! 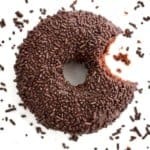 We all have those Saturday mornings when we wake up craving donuts, but are too lazy to leave the house to go get them, right? “No, not you? Just us? !” Haha! 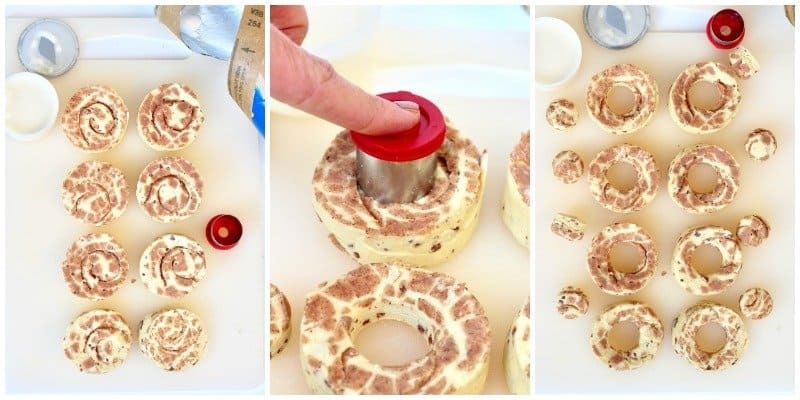 Well, I have a brilliant solution to this Saturday morning situation with these quick and easy cinnamon roll donuts. 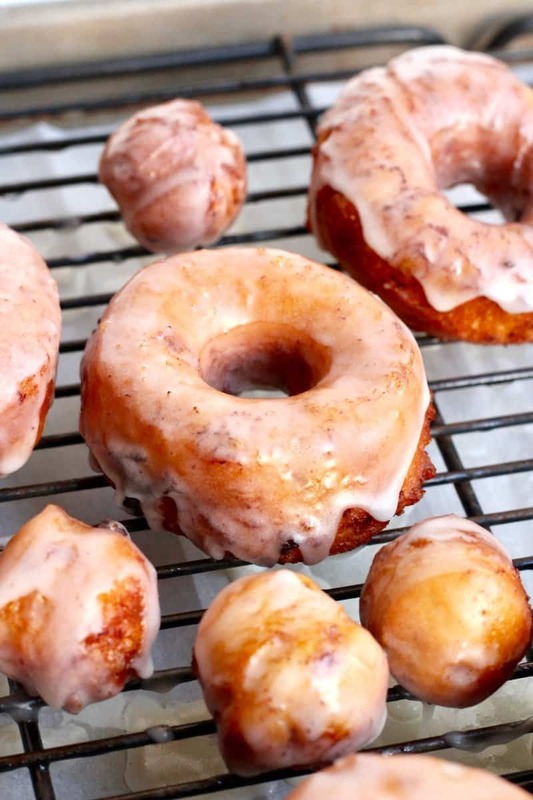 All you need is a can of your favorite cinnamon rolls, canola or vegetable oil and about 20 minutes to have warm, fresh-fried, cinnamon studded, cream cheese glazed donuts ready to enjoy in the comfort of your own home without having to change out of your pajamas. 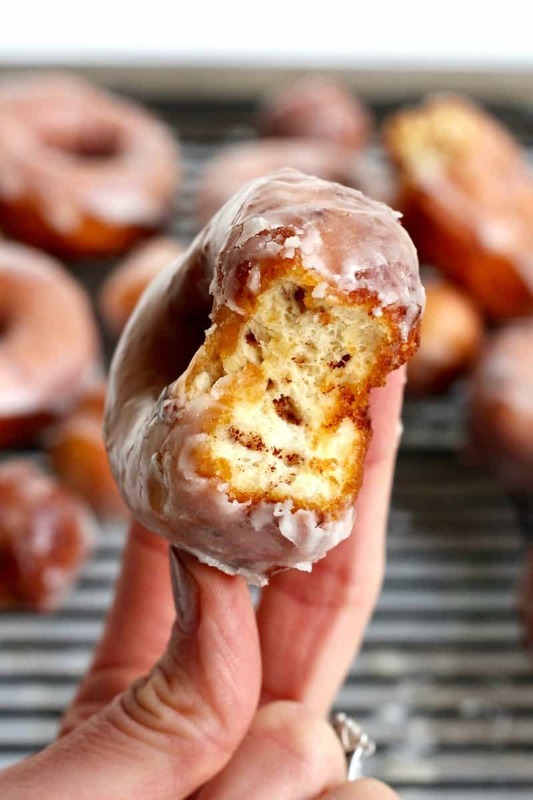 Crisp on the outside, soft and cinnamon-y on the inside, with the perfect amount of cream cheese glaze. You’re welcome…you’re welcome very much! 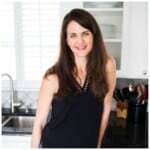 I hope you find them as fun to make and yummy to eat as we do! Enjoy! 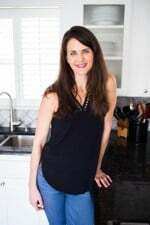 Pour oil into a large round pan (about 10 inches wide and 4 inches deep) to at least 2 inches deep and heat over medium heat for about five minutes or until oil temperature reaches 350°F. Meanwhile, lay cinnamon rolls out onto a cutting board. Using a small round cookie cutter, cut the center out of each cinnamon roll. 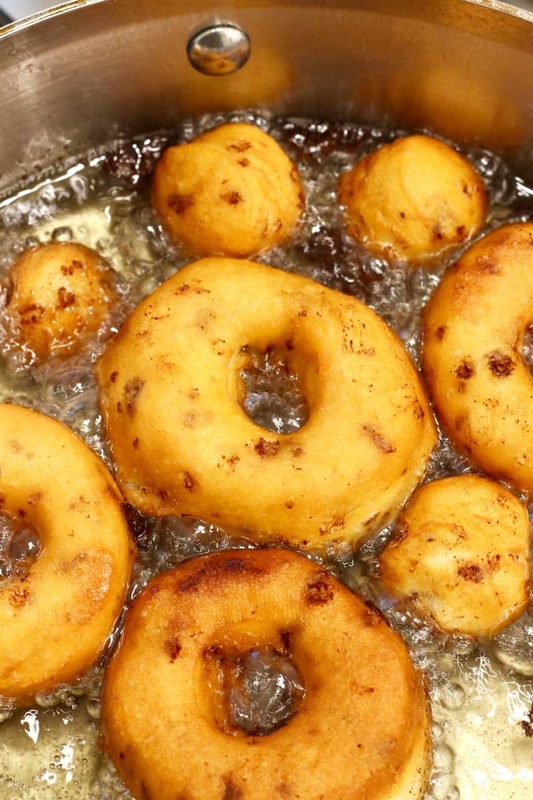 Drop dough rings and holes into hot oil, watching carefully and turning when golden, about 1-2 minutes per side. 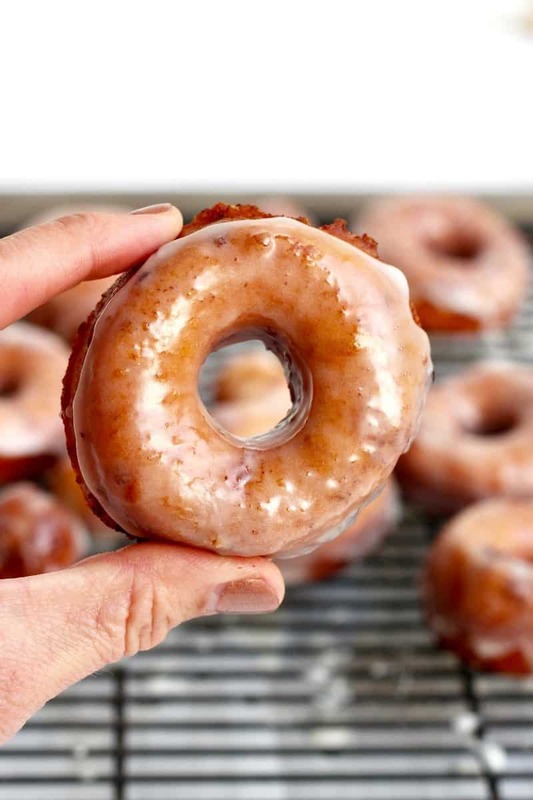 Once donuts are golden on both sides, remove to a rack set on a rimmed baking sheet. Repeat until all rings and holes are cooked. 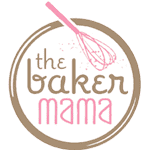 Scoop cream cheese icing into a round microwave-safe bowl. Heat for about 15 seconds or until thin enough to drizzle once whisked with a whisk. 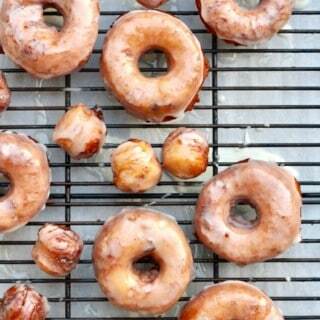 Dip the tops of each donut and donut hole into the melted icing and let excess drip back into the bowl. 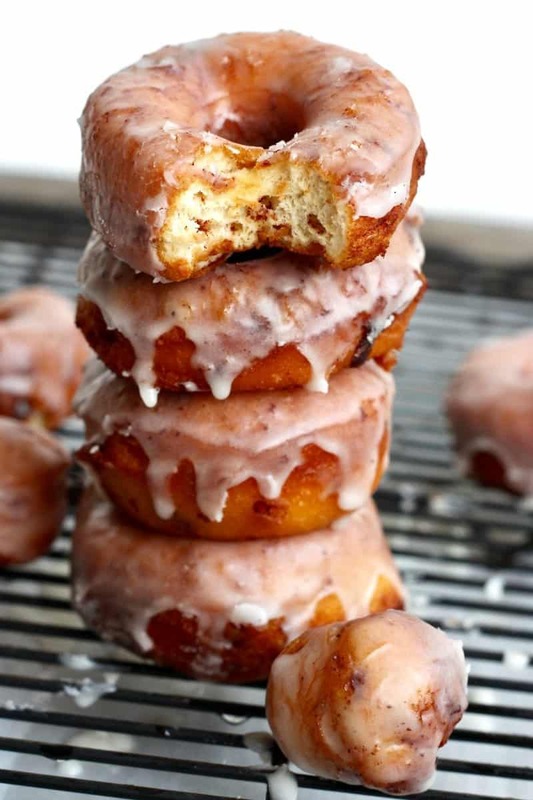 Turn glazed donuts back onto the rack, glazed side up. Serve warm. Where did you get the cute cutter? 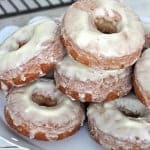 I have made doughnuts from the canned biscuts (large size) before and they turned out great. I thought I would try these. How is it that yours stayed together. I did try to pinch them slightly. Hi Kathy! I didn’t have any issues with them separating. Maybe just make sure you cut them while they’re still cold. Made these for my elderly parents and they are in love! And they think I am an amazing chef! Lol! If they only knew how simple it is! Thanks for the great idea! 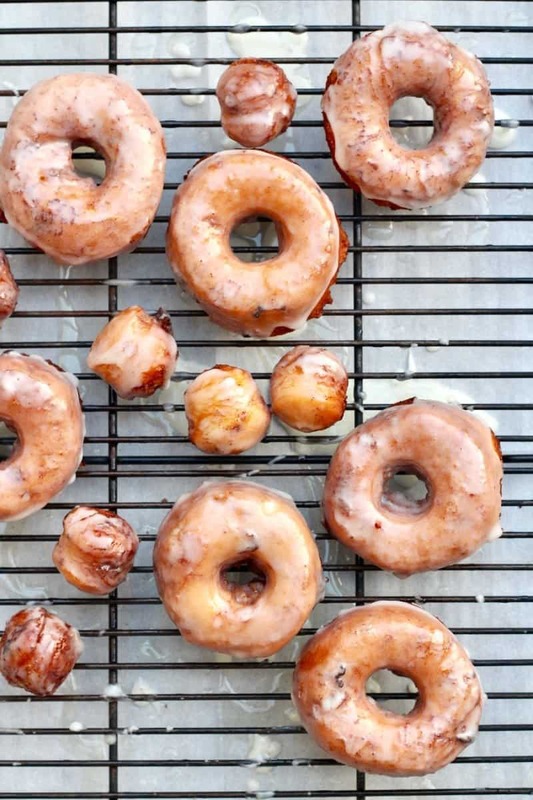 Have you tried baking these in donut pans? Hi Donna! I haven’t, but I think it would work great. You probably wouldn’t even have to put them in a donut pan. You could just cut the hold out of the center and space them out on a pan to bake as the can directs for cinnamon rolls. Enjoy! do you think you could bake/fry these in a air fryer?? Hi CP! I don’t see why not. 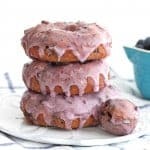 I’ve only used an air fryer for fries and bacon, but from those experiences, I think these donuts would do great in one. Enjoy!